Bolshevik Revolutionary Vladimir Lenin's birthday falls on April 22. A bust of Vladimir Lenin located on the grounds of an abandoned factory in the Jewish Autonomous Region in Russia's Far East was found without its head on the Soviet leader's birthday, news reports said. 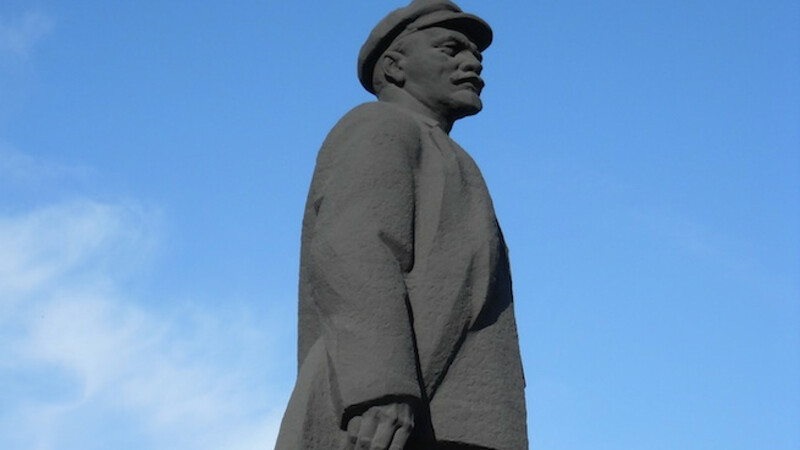 To mark Lenin's 145th birthday, which falls on April 22, local Communist Party supporters in the regional capital Birobidzhan had planned to lay flowers around the bust when they discovered the damage to the statue, the Dvnovosti.ru news site reported Thursday. "We had just been to lay flowers at the monument to the leader of the proletariat [Lenin] at Lenin Square and then we went to lay flowers at the "Dalselmash" factory ... There are only four [Lenin statues] in Birobidzhan ... We arrived and found a barbaric act of vandalism," local Communist Party member and city Duma deputy Alla Palkina was cited as saying. Regional newspaper gazetaeao.ru noted in an article published earlier this month that the "Dalselmash" Lenin bust, which is two meters tall, was the biggest of Birobidzhan's four remaining Lenin statues. Local authorities told Interfax news agency on Friday that the incident was not an act of vandalism and that the beheading was the result of a botched attempt to move the statue, cast in 1953, from the old factory grounds. Palkina was aware of this information, but had a different interpretation of the situation. "When we entered the factory, we were told that people had wanted to relocate the statue and that the head had come off in the process. [But] I think that it's the same thing that's going on in Ukraine now. The destruction of monuments has reached our city. This is very alarming because Birobidzhan's residents are of an ethnicity that was oppressed during the war. We must stop the destruction of monuments in the city and in the region," Palkina told Dvnovosti.ru on Thursday. Secretary of the regional Communist Party of the Jewish Autonomous Region Vladimir Fischman said that the destruction of the Lenin statue was the latest example of the fate the factory has suffered since the end of the Soviet era. "I was working here at the factory when they erected the [Lenin] monument, and every year I bring flowers. Since 1991 the government has been breaking everything, destroying everything. "Dalselmash," where over three thousand people worked, has become a monument to ruin. The factory has been destroyed deliberately. That's where the problems began.... And now it is very painful to see another act of barbarism," Fischman told DVnovosti.ru.